All of us here at SimplyHome have been impacted by Alzheimer's Disease one way or another. We know that Alzheimer's is an incredibly destructive disease that changes the people we love in ways we never thought were possible. 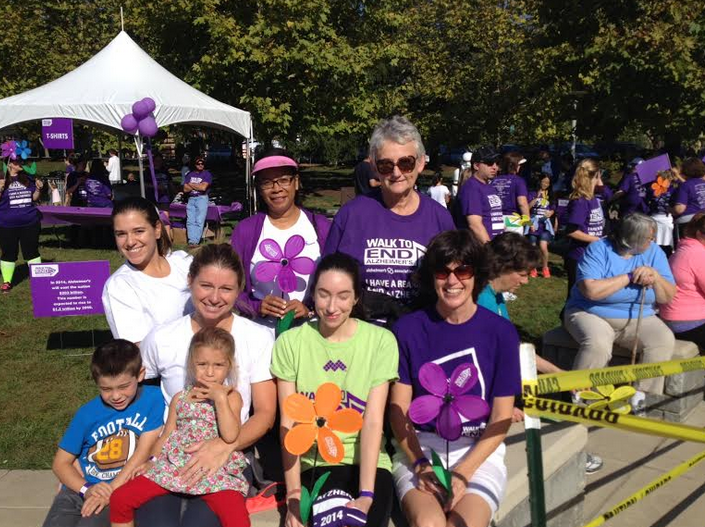 We walk to support Alzheimer's Disease research each year. Alzheimer's Disease is a type of dementia. Causing problems with thinking, memory and behavior, Alzheimer's typically develops slowly and worsens over time. As the most common type of dementia, Alzheimer's is not a normal sign of aging. If you detect any of these signs or symptoms in a loved one, it is important that you talk to your doctor. Though there is no cure for Alzheimer's at this point, there are ways to treat symptoms and create an environment so that your loved one can be comfortable and slow the impact of dementia. Improving quality of life can only be done if your loved one is diagnosed properly. Be on the lookout for these signs and symptoms.